Just when you thought macaroni and cheese couldn't get any better, we're taking the ultimate comfort food to the next level. 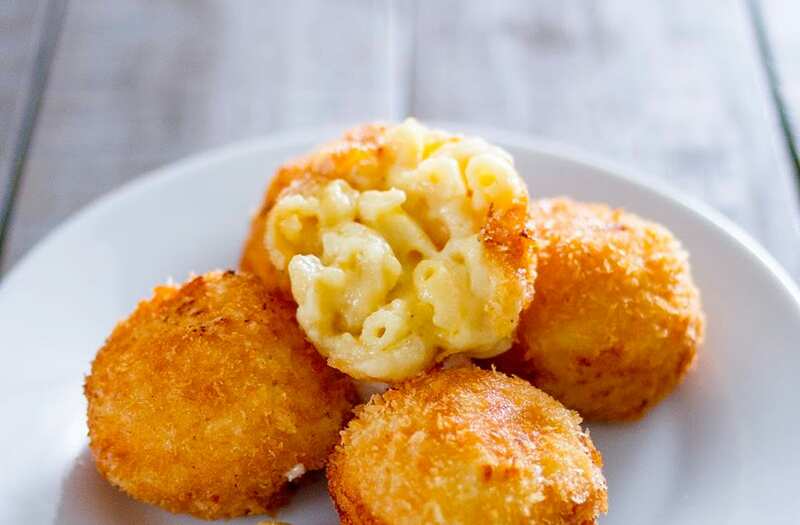 Fried mac n' cheese balls are the perfect appetizer for a dinner with friends or weekend tailgate. Made with crispy Panko and creamy macaroni, you won't be able to put these down! Add in 2 tablespoons of flour. Add a dash of salt and macaroni mixture. Ball mixture into 1 1/2 '' ball. Coat in flour, egg and Panko.